I was asked recently to write a piece summarising the recent history of naturalistic planting in Britain for the Royal Horticultural Society Japan journal. So I thought I should share the untranslated version. The garden at home in August. Naturalistic planting in Britain arguably started in the 18th century with the landscape movement, in which the grounds of country houses were laid out in a style that evoked a semi-natural, pastoral, landscape. This movement largely concerned itself with the large scale, the main ingredients were woodland, lakes and extensive areas of grass – the latter usually grazed by livestock such as cattle or sheep. The first person to promote a naturalistic style of planting on a smaller scale was the writer and magazine publisher William Robinson ( 1838-1935) with his book The Wild Garden, published in 1870. This book was however not based on real experience, and although much discussed, had relatively little real impact. A contemporary of Robinson, Gertrude Jekyll (1843-1932), chiefly known for her colourful perennial border plantings, promoted a naturalistic style of planting for woodland. A very fertile and moist soil means that strong-growing perennial species need to be chosen to form a solid canopy of vegetation through the growing season. Perennials grow amongst occasional shrubs and bamboos. The success of Jekyll's woodland planting points to a key issue which has affected the development of naturalistic planting in Britain. With a long and cool growing season, open areas in Britain are dominated by a very competitive grass flora. In some shade however, grass growth is reduced, and other perennials and small bulbs are able to grow with less competition. For much of the 20th century the most successful naturalistic plantings were to be seen in light shade. During the last quarter of the 20th century, new approaches to naturalistic planting developed. There was a growing interest in growing British native plants – however the flora is relatively restricted, and is of only limited ornamental garden value. More influential, and arguably the most influential movement of all, has been the concept of 'wildlife gardening', where gardens are seen as mini nature reserves, supporting biodiversity. This encouraged a more relaxed, less tidy and desner style of planting, more tolerance of some weedy native species, and an awareness of the role of trees, shrubs and perennials together creating habitat for birds, insects and reptiles. Wildlife gardening fitted easily into a relaxed style of gardening which had been developed by an older generation of gardeners, particularly the use of long-lived perennials and small shrubs promoted by the popular garden writer Margery Fish (1892-1969), and the work of Beth Chatto whose garden in the relatively dry county of Essex, just north-east of London stressed the choice of plants based on their habitat preferences. Chatto was one of the speakers at a conference in 1994 at Kew Gardens to discuss new developments in naturalistic planting; the event brought together a number of speakers from The Netherlands and Germany, as well as the UK. From this time on, an informal grouping of gardeners and landscape professionals began to actively promote naturalistic planting. For the first time in European gardening, there was a real sense of cross-border communication. 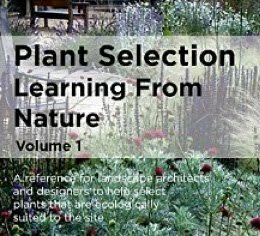 My own book, The New Perennial Garden, published in 1994, and a number of book collaborations with Dutch designer Piet Oudolf, helped publicise new ideas about plant selection and combination. Whereas old-style perennial plantings had tended to use highly-bred, high maintenance varieties, the new planting used long-lived species, often close to their wild ancestors, and shorter-lived species which would survive in plantings through seeding. The idea of the border as a narrow strip of planting, was challenged. The wildflower meadow was an inspiration, and plantings created where the viewer looks across a blend of flowering perennials and grasses. 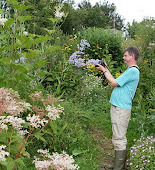 During this time, more British gardeners began to visit places on the European mainland where the new planting could be seen, for example the parks of Amstelveen, near Amsterdam's Schipol Airport, which used native plants, and the parks created in German cities through large-scale garden shows. An important role has been played by two academics in the Department of Landscape at the University of Sheffield: Nigel Dunnett and James Hitchmough, who are primarily interested in public space. They argued for 'enhanced nature', naturalistic plantings which offered city dwellers a stylised version of nature with plenty of colourful flowers, either combining native and non-native species or which were based on natural plant communities, foreign to the country, but which worked well in the British climate. Of these, the North American prairie has been particularly important; many of the species popular in perennial borders for the last century were in fact of prairie origin. 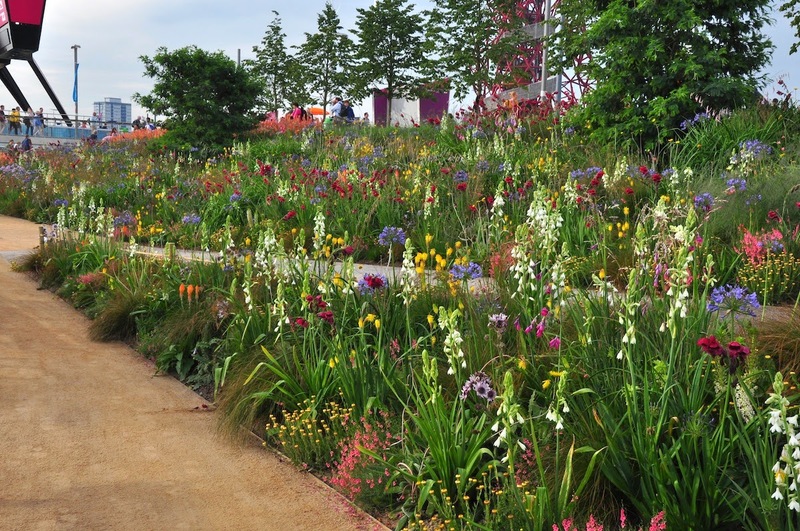 A number of cheap seed mixtures of annuals developed by Dunnett have been commercially successful, whilst a number of gardens he made for the Chelsea Flower Show have brought his name and his idea of the wildlife-friendly sustainable small garden to public attention. He has also promoted the use of plant communities for green roofs and sustainable drainage schemes. Hitchmough's approach has perhaps been the most radical. 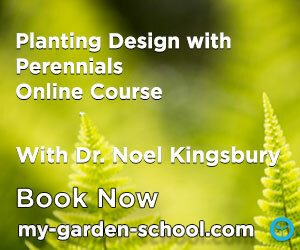 He believes that the most successful plantings are those which are started from seed. The density of seeded plantings helps to exclude weeds, and allows a community of plants to develop which have a natural, rather than a human-imposed, set of relationships with each other. His work is based on a rigorous application of plant ecology science, and his doctoral students engage in work which looks at various aspects of the creation and maintenance of what are essentially artificial ornamental ecosystems. Maintenance has to be extensive, i.e. applied to all the plants simultaneously, so for example the time of mowing may be used to reduce the growth and spread of more vigorous species, and the use of a flame gun to simulate the burning which is a key part of the management of semi-natural prairie and other grasslands. For private gardeners, this rich variety of ideas, influences and methodologies, has proved a stimulating source of ideas. Whereas as once upon a time gardeners cleared away dead stems at the end of the year, now many leave them for several months, to appreciate their beauty in winter sunlight and as a source of seed for wild birds. Species which seed are now more likely to spread themselves through plantings, creating an atmosphere of natural spontaneity (and occasional unruliness). There is a greater willingness to create small areas of native plant community, such as miniature wetlands adjoining ponds or meadows of rough grass and wildflowers which may be only a few metres in extent. Even small areas of aggressive weeds such stinging nettles (Urtica dioica) may be left, as they are a vital food source for some species of butterfly larvae. Based on a North American plant mix, species of Aster, Heuchera and Rudbeckia flower in mid summer. More on the Tokachi Millennium Forest later! One of the best articles I've read in a while. Now I pretty sure that these movements were the foundation of today's so-called guerilla gardening. However, guerilla gardeners operate in almost any kind of landscape, even cities. Nice read, mate.